The last couple of decades has witnessed an over-abundance of two things — data and labels that try to define what can be done with this data to improve the quality of lives. We have had data analysis, business intelligence, business analysis, data mining, business analytics, data science – just to name a few. From an industry excitement perspective, the two recurrent themes have been business analytics and data science. In this journey, the techniques have ranged from statistics to machine learning and deep learning, with AI playing a progressively larger role. This evolution has brought considerable changes in the skill requirement of a data scientist, as the role of data scientist keeps evolving. 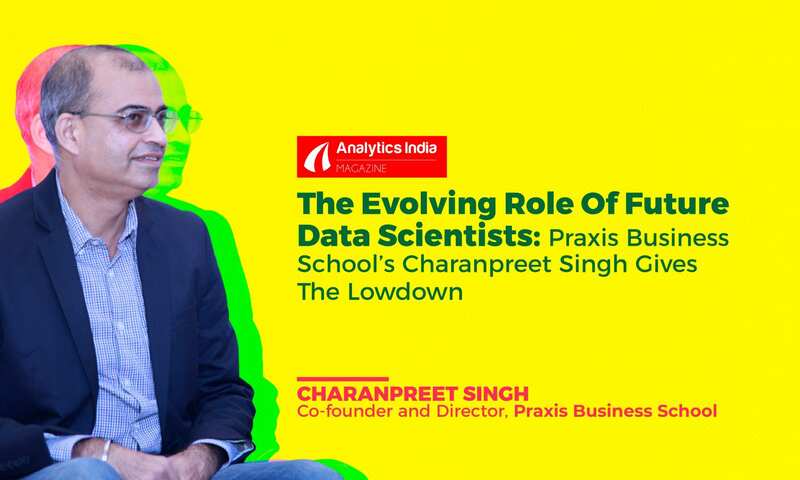 In this context, we caught up with Charanpreet Singh, Co-founder and Director, Praxis Business School Foundation to understand how the role of future data scientist will evolve, compared to 2011, when Praxis started its full-time programme in this field. One of the earliest entrants in the analytics education space and one of the country’s most respected business schools, Praxis Business School has been consistently ranked among the Top 5 analytics institutes in India. Praxis kick-started the Post Graduate Programme in Business Analytics in 2011 with an objective to fulfil the industry requirement of analytics-trained resources – who would, in due course, help shape the future of the nascent and ever-evolving analytics field. AIM: Recently, Praxis has renamed its Full-time PG Program in Business Analytics as Full-time PG Program in Data Science. What triggered you to rebrand your programme? 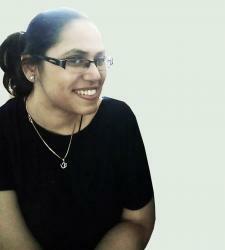 Charanpreet: When we had launched the business analytics programme in 2011, it was largely centred around techniques based on statistics, data mining, econometrics and tools like SAS. We have witnessed the evolution of this science, and over the years introduced concepts of AI, Machine Learning, Deep Learning etc. to the program with tools and platforms like Python, Spark and TensorFlow becoming centrestage. While we led the education industry in terms of keeping the programme contemporary and bleeding-edge, we desisted from changing its name, because, in a sense, everything that was taught was to eventually solve business problems. The re-labeling is more a result of certain perceptions aspirants and recruiters carry with the terms ‘business analytics’ and ‘data science’ and to address questions like – do you teach data science in your business analytics program, or, do you have a program in data science also? Our curriculum surely covers, in adequate depth, all the key aspects of data science, so it made sense for us to re-christian it – I guess a logical move to what-you-see-is-what-you-get. As Data Science continues to evolve as a discipline, Praxis as a school is committed to ensuring that our content and pedagogy are always contemporary and our students acquire the right skills for the future. This is why, in a sense, the Praxis curriculum in “perpetual beta”, keeping its faculty and students on the proverbial ‘edge’. AIM: Being at the vantage position of interacting with a lot of recruiters on a regular basis, what according to you are the recruiters looking for in a data scientist today? Charanpreet: Having had the advantage of interacting with many recruiters over the last seven years, we get the feeling that this industry is still nascent and the commonly used and abused term ’industry ready’ is not yet defined. In addition, data science and associate terms like business analytics, business analysis, data analysis etc. cover a very broad range of skills. At a JD level, recruiters pretty much ask for a superman, spiderman and ironman rolled into one. Popularly known as the ‘full-stack’ data scientist, this rockstar understands and defines business problems, accesses the right data, subjects it to the right treatment, uses the right techniques, builds amazing models and then tells a compelling story! Realizing that this animal may not exist, recruiters usually settle down to looking for fundamental attributes like deep analytical, problem solving and communication skills, a self-starter attitude and a working understanding of a broad range of tools and techniques. Also, there is surely a shift towards machine learning, deep learning, NLP techniques. AIM: Given that you have had a ringside view of the evolution of this field, what, in your opinion, will data scientists look like in the future? How different will they be from the past and current data scientists? Charanpreet: The trends I foresee have to do with four basic themes — a) data science will get democratized and will move from the geek room to the business desk; b) data science, like engineering, will evolve to accommodate specializations; c) applications will get sharper and domain specific, demanding greater domain orientation of data scientists; at the centre of all this will be data — the next data scientist will have to be a Data Guru. AIM: It would be great if you can elaborate each of the above four points for the benefit of our audience. Sure, let’s start with the citizen data scientist. I think Data Science will become more democratized and commoditized with greater automation, platforms with embedded solutions and easy to use tools. This will enable the non-specialists do significant model building, analysis and prediction using DIY kits. These citizen data-scientists will effect a substantial decentralization of the analytics function within the organization. The expert data scientists will devote their time and energy to create more advanced techniques that lead to better and faster solutions. On the specialization part — Let me propose a loose kind of analogy here. Data Science is to statistics and math what engineering is to the physical sciences. As technologies grew broader and deeper, engineering became more and more specialized — today we do not have engineers — we have mechanical engineers and chemical engineers and electrical engineers. Staying with the analogy, I expect that the superman data scientist will give life to several forms — specializations across techniques and/ or domains. The data world is adept at coining intelligent names to roles — so we could be looking at a Fraud Data Scientists and Risk Data Scientists and Cyber Security Data Scientists just to name a few. We will also have the Data Visualizer, the Machine Learning expert, the AI star, and data scientists who are skilled at providing solutions to specific business problems, others who are product builders. Domain — My next suggestion is that a good number of the algorithms and the platforms would have been done by 2022; the data scientist will move far closer to business than she is today. Once a good number of key algorithms get templatized and menu driven, the focus of the data scientist will shift to the business side of things. The quality of questions asked will determine the quality and relevance of insights drawn — and the quality of questions asked will be a function of how deep her knowledge of the domain is. We will enter an era of sharp, function or vertical focused applications — for example, can we develop an application for micro-financing farmers where we can predict not only capability to repay but also collections over a period of time once the loan is disbursed. This will require deep knowledge of farming across crops and geographies and an understanding of all the environmental factors or variables that may impact a farmer’s ability to pay. Data – which brings me to the next point. Deeper domain knowledge and availability of a much wider source base for data will drive the next round of differentiation – the ability to pick the right metric and hence the right sources of data. As I think DJ Patil said in a recent presentation that the internet of things is actually the data of things. The data scientist of 2022 will have to be a data guru – not from a technology perspective but from the perspective of understating, identifying and accessing the right sources of data and bringing it all together to enrich the analysis. In the farmer financing example, data on weather and even climate over a period of time will be critical to assess the financial health of a farmer in a particular geographical region, given the crops he grows and the soil he uses. AIM: So what will it take to become a successful data scientist of the future? Charanpreet: To start with, the aspirant needs to commit completely to learning the concepts, techniques and tools that form part of the data science ecosystem today. Regardless of how things move in the future with automation and decentralization, the key to real success will lie in a deep understanding of the statistics and mathematics behind the techniques, and the business context in which these are applied. You will have to strike a balance between asking questions relevant to businesses and being a top-ranked Kaggler. Data scientists will add value by asking the right questions, finding the right sources of data and identifying the right methods to analyse the data. Also, progressively, data scientists will engage more intensely with domain experts and clients. AIM: Finally, who will you advise to look at Data Science as a serious career option? Charanpreet: For everyone who believes he/ she is a good problem solver, has strong analytical and quantitative skills and a fair exposure to technology – data science is pretty much the best option for an interesting, remunerative and sustainable career. Data generation is poised to grow at unprecedented rates, and the requirement for people who can make sense out of this data is similarly poised for rapid increase. With the fear of repeatable tasks in the IT workplace getting automated, you would likely be taking a big risk if you do not re-skill yourself.